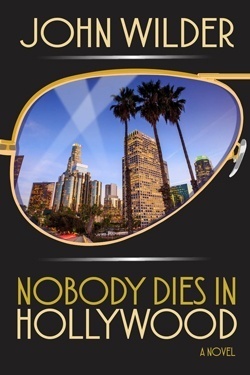 John Wilder describes the premise of Nobody Dies In Hollywood, his debut novel. After a successful film and television career as an actor, Wilder went on to write and produce numerous award-winning dramas for network and cable television, many with distinguished American authors, including Pulitzer-prize winner Larry McMurtry, James Michener, Anne Rice, John Jakes and Robert B. Parker. Scroll down to read some of the many credits in Wilder’s long and illustrative career. Detective Michael Drayton fits the bill: a product of mixed races and college-educated, he combines his experience as an ex-LAPD homicide detective with his back-alley Hollywood connections, forged from his earlier career as a stunt coordinator. The anguish of Drayton’s recent loss compels him to investigate the murder of a young actor — a “nobody” — overshadowed by the other murder victim, an iconic film legend. Scroll down to read the full synopsis and view book details. Wilder packs an emotional undercurrent that ebbs and flows in tandem with an intricate web of artistry and avarice. A slew of characters embody the contemporary Hollywood scene and Wilder’s gift for dialogue and action scenes are artfully displayed throughout, ending with a crescendo of climactic action.